In the lead up to Christmas we are all looking to give gifts to our loved ones. Sometimes it is difficult to think of gifts that are not only unique, but also creative and will bring a smile to the gift receivers face. Photographs are the perfect thing to use to create these beautiful gifts. Here are Wilkinson Camera’s top photo gifts for Christmas, from CEWE PhotoWorld, our award winning photo printing partner. In the lead up to Christmas everyone loves an advent calendar, but why go for a traditional advent calendar when you can make it unique. Cewe Photoworld offers a range of unique advent calendars that feature your favourite photos. 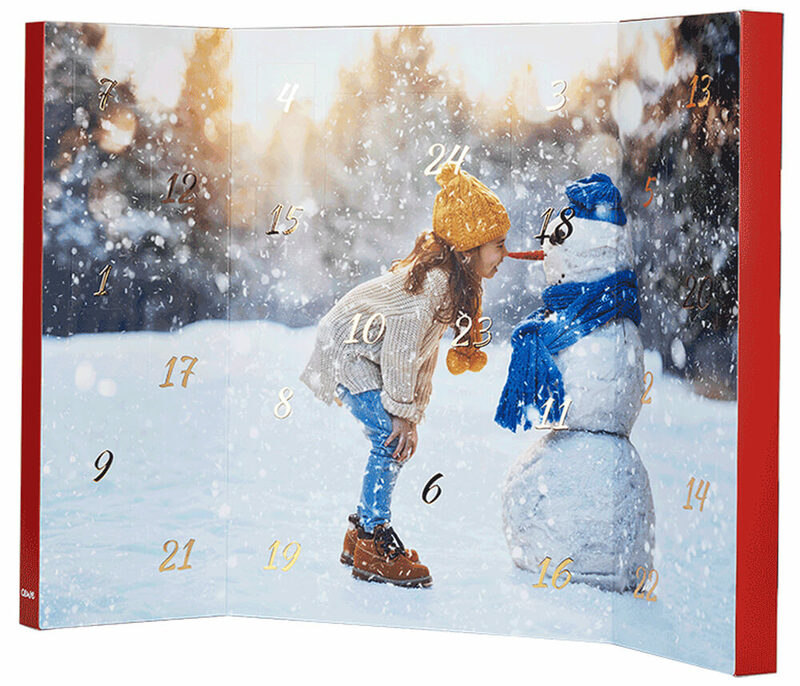 You can add your image to the front of the advent calendar to make it completely personalised, with images of your family, favourite places, landscapes or memories. These advent calendars can be filled with Kinder, Ferrero or premium chocolates. The option is also available to choose a deluxe chocolate advent calendar, which can be personalised and is filled with exquisite chocolates. Another option the Cewe Photoworld offers a photo advent calendar with a main photo on the front and different photos behind all 24 doors. Finally, Cewe Photoworld offers a fill your own advent calendar. You can fill it with anything you like, such as toy, allergy-friendly treats or trinkets, it is entirely up to you. This option is completely unique and can be personalised with your favourite image. Sharing well-wishes with our family and friends throughout the Christmas season is something that we all do. What better way to do this than with personalised Christmas cards. You can create your own designs using your own photo of choice, you can even add some text. 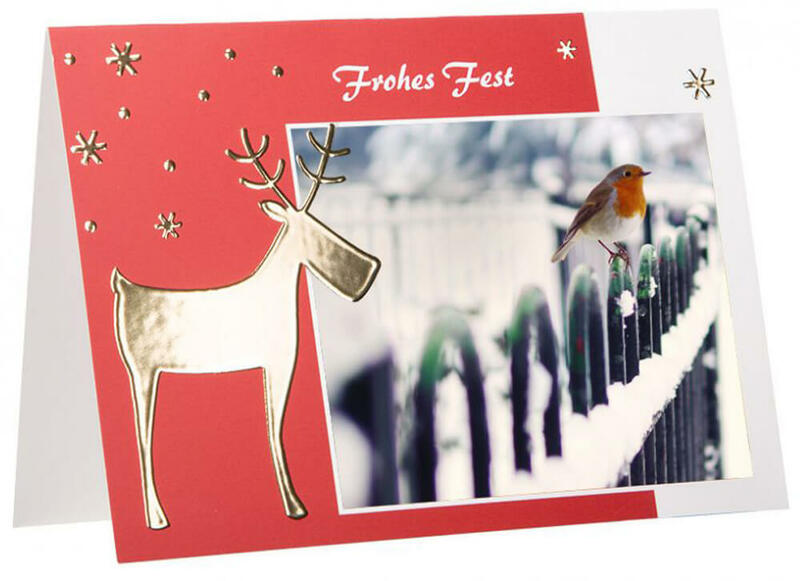 Not only that, but you can choose from Cewe Photoworld’s huge range of great design templates to give your Christmas cards a unique touch. These cares available in sets of 10 with envelopes. In the cold months of winter there is nothing better than drinking from your favourite mug. This year why not create your family and friends a special personalised mug. There are many different mug varieties to choose from on Cewe Photoworld. 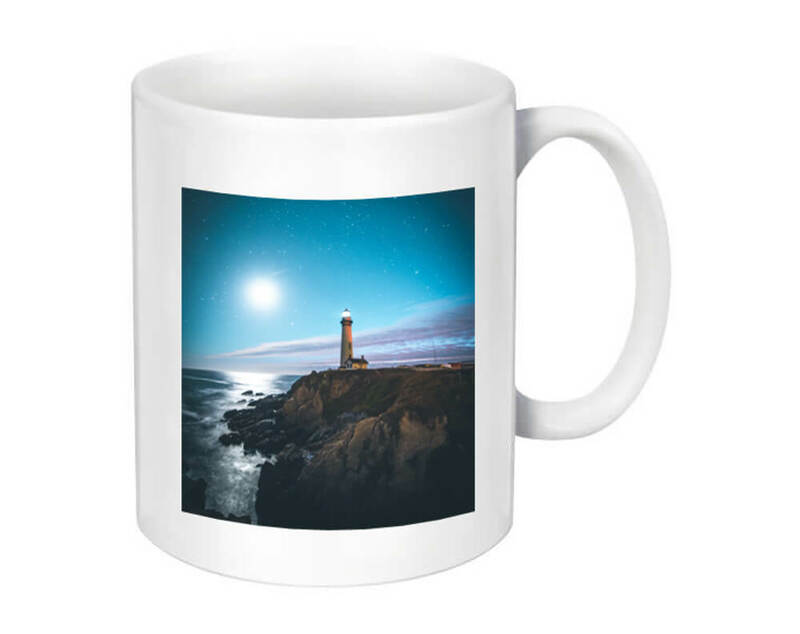 Choose from a latte or panoramic mug, perfect for landscape photos. Or, a porcelain or standard mug, perfect for your cherished photo memories. There is also the coloured inside mug that is perfect for any photo with the added aspect of an interior colour for a more personal touch. Finally, Cewe Photoworld offers the magic mug, that will magically reveal your chosen photo when you add hot liquid. Every year we take hundreds of pictures and a lot of the time they stay on our camera and phones. 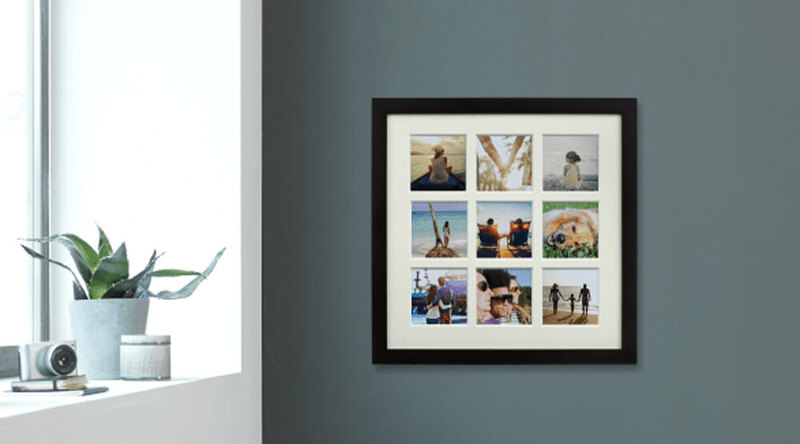 The magnet photo collage makes a brilliant gift and an excellent way to display your photos. The best part about this magnet photo collage is that you can update your artwork with new photo magnets whenever you want! All you need to do is remove a photo magnet from the collage and replace it with another magnet. 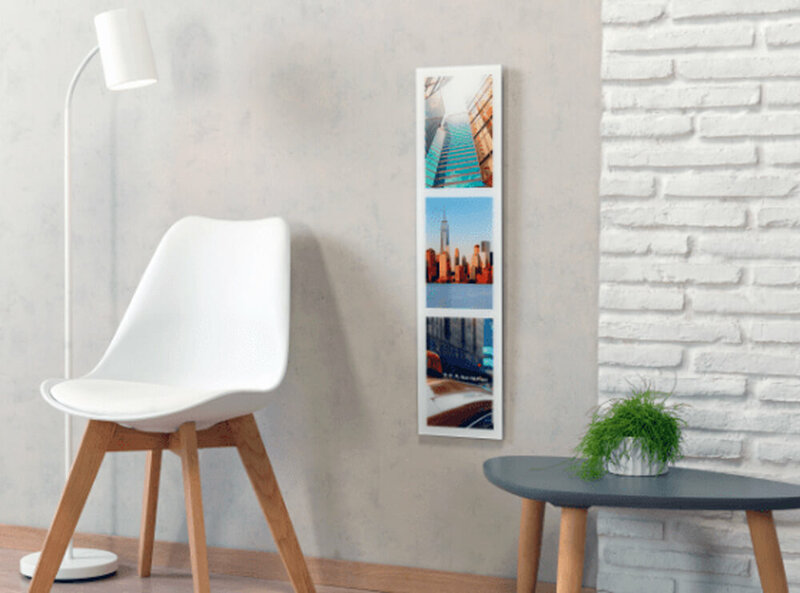 Use it to display your family photos, favourite landscapes or any pictures you are looking to display. It can even be updated throughout the year as you take more and more pictures. Whilst the weather is bad over the Christmas season, a jigsaw is the perfect thing to keep everyone entertained on a rainy day. 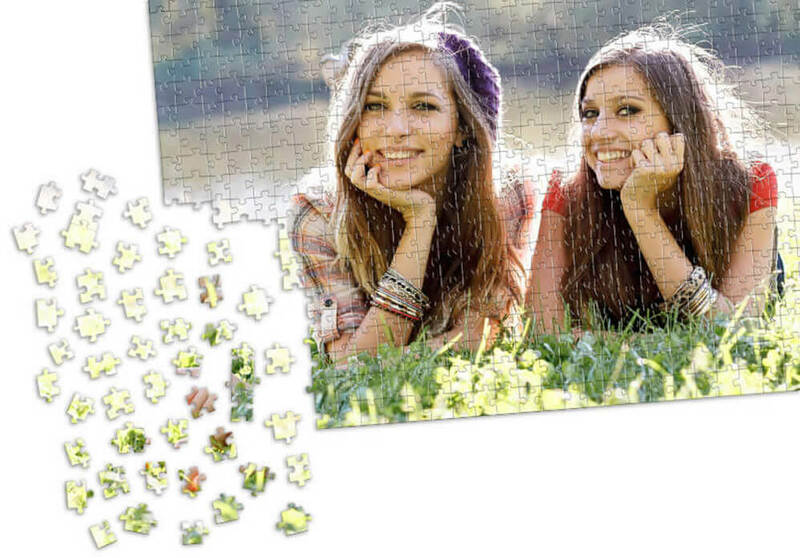 These aren’t just normal jigsaws though; this puzzle is personalised with you very own pictures. This lets you piece together a familiar scene, a beautiful landscape or a special memory. You can even scan in your children’s artwork or write a message that is only revealed when the jigsaw is completed. The more colours and intricate details your image contain, the longer the puzzle will take you to complete. You can choose from a 500, 1000 or 1500 piece puzzle. Everyone loves to display or share their favourite photos and we are always looking for new creative ways to do this. If you are looking for a cool, contemporary way to display your photographs, Photo Strips are the gift for you. The images of your choice will be directly printed onto high quality acrylic or aluminium, with each photo being reproduced in brilliant colour and detail! There is a range of sizes available and different sizes can hold a different number of images. Select the photos that make you smile to create a piece of art you can enjoy all year round. The options are unlimited when it comes to choosing photographs for your Photo Strip. You could select photos with a certain colour scheme to match a room, or even create a special gift by featuring your favourite pictures of a friend or loved one. The Photo Strips are available in the sizes; 15 x 60cm, 15 x 90cm, 20 x 80cm, 20 x 120cm. Cewe Photoworld offers many more photo gifts that are perfect for Christmas! You can also create personalised snow globes, t-shirts, sweatshirts, playing cards, clocks, notebooks, photobooks, photo prints and much more. You won’t be short of gift choices on Cewe Photoworld.